This month’s reader question is all about value, and how to get the most out of the almighty dollar while abroad. This question resonated for me, because I’m all about value travel! The concept we’re talking about here is called “currency arbitrage” – making your money go further by using a strong currency in a country with a weaker one. And while some of the places profiled in this article do have a stark contrast of rich and poor, not all of them do. In fact, many of these destinations aren’t poor countries at all; it’s a simple matter of having a more valuable currency in your pocket. Below you’ll find a collection of 16 countries that may not be the cheapest in the world, but that represent the best value for your dollar – and thus are worth visiting. They strike the perfect balance between being inexpensive, as well as being attractive places to visit for one reason or another. You’ll also find budget estimates (in Canadian dollars). Please note that they are just that – estimates. The estimates are mid-range prices – not budget, and not luxury – quoted as per-person, per-day expenses. Hotel rates quoted are per-person based on double occupancy; generally speaking, double the price and you’ll have the full cost of a hotel room. Alternately, check into a hostel as a solo traveller and you’ll likely find something close to the rates listed here. I’d like to give a shout out to Budget Your Trip, where I got these budget estimates; it’s one of my favourite budget-planning resources. At a glance you can get basic information on the destination, as well as average costs, all based on data continually gathered from real travellers who use their platform to create budgets and record expenses. Some countries have cost breakdowns for major cities as well, since your cost of travel will vary dramatically according to where specifically you go. On with the show! Here are the 16 best countries to visit with the Canadian dollar. While Central and South America have long been considered inexpensive places to visit, it’s important to choose carefully; not all countries are great value (eg: Chile is notoriously expensive), and other countries are worth giving a wide berth due to political instability (eg: Venezuela). Also, Latin America in general is considered an “edgy” place, and it’s important to be on-guard against scams and petty crimes. Check out this travel safety video for some tips on being a “street smart” traveller. But don’t let some petty crimes scare you off; I took many years to gather the courage to visit Central and South America, and on arrival I regretted waiting so long. It’s an incredibly vibrant and warm (literally and figuratively!) area of the world. While Argentina doesn’t offer quite as much value as a few years ago when the currency collapsed, you can still do quite well in this country that was formerly one of the most expensive in South America. 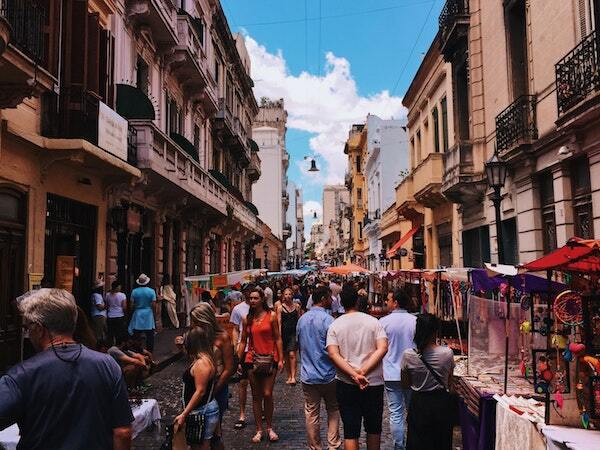 Argentina has the best of culture, nature, and cuisine all wrapped into one country. It’s a jumping-off point for both Antarctic adventures as well as for trekking in Patagonia. After hiking all day, you can fill your belly with Argentina’s world-famous steak and top-tier wine, before tangoing the night away. Belize is the only country in (mainland) Central and South America where English is the official language! As such, it’s an easy place to travel to. 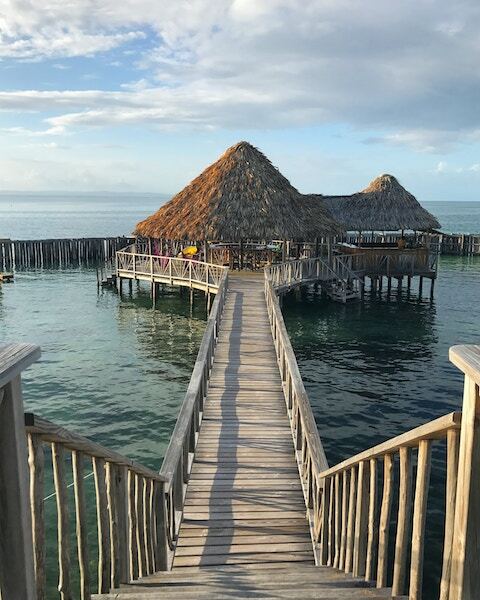 Here, snorkelling and diving rules; from chilling with manatees and exploring coral reefs, to daring the world-famous iconic 120-metre-deep Blue Hole, under water is the place to be in Belize. When you come up for air you won’t be disappointed either; inland Belize’s wildlife scene includes toucans, iguanas, howler monkeys, tapirs, and even jaguars. 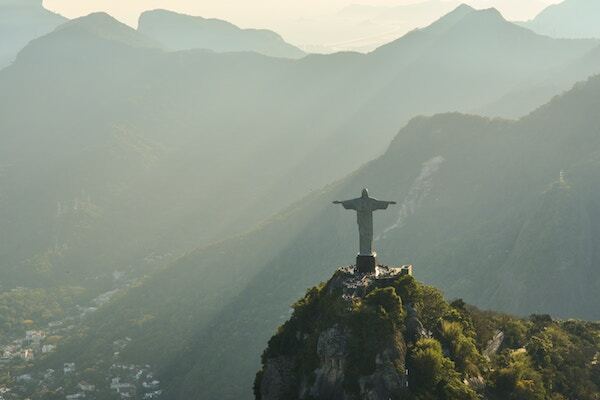 Brazil is a gigantic country that encompasses so much more than Rio and Copacabana beach (though they’re both pretty cool too). It’s home to a large chunk of the Amazon rain forest, the impressive Iguassu Falls, one of the world’s greatest wetlands (Pantanal), and much more. If you don’t mind crowds, Rio de Janeiro’s Carnival festival in February/March is the ultimate street party. For a quieter time, check out Olinda (near Recife), an artists’ colony built into the steep hillsides featuring 18th-century architecture and brightly painted houses. Dear fellow Canadians: Please pay attention to the spelling of this amazing country! While our most westerly province is British Columbia, the namesake country is spelled with an “o” in place of our “u”. Canadians (myself formerly included!) commonly misspell this country. Okay, PSA aside, you do yourself a disservice if you still associate Colombia with the violent political turmoil of the 1980’s. Colombia is experiencing a renaissance of sorts, and when it comes to food, art, and technology, it is the place to be. 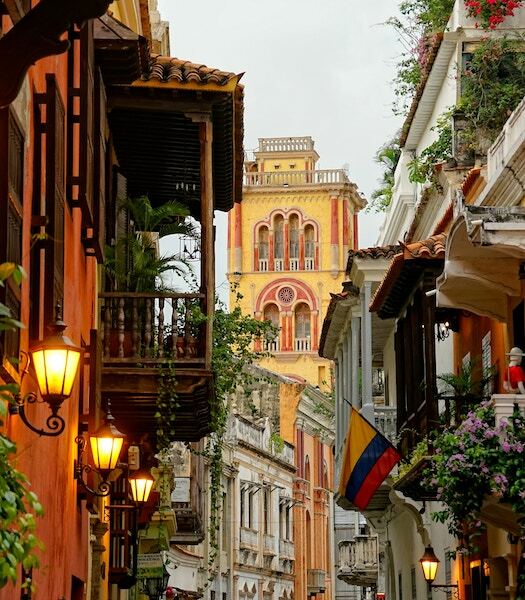 As a fairly large country, you’ll experience a great diversity of climates and cultures, from Caribbean coast towns like Cartageña and Santa Marta, to high-altitude cultural centres like Medellin and Bogota. The Valle de Cocora is home to the world’s largest palm tree forest. And Ciudad Perdida (lost city) is Colombia’s answer to Peru’s Machu Picchu, except it’s 650 years older. 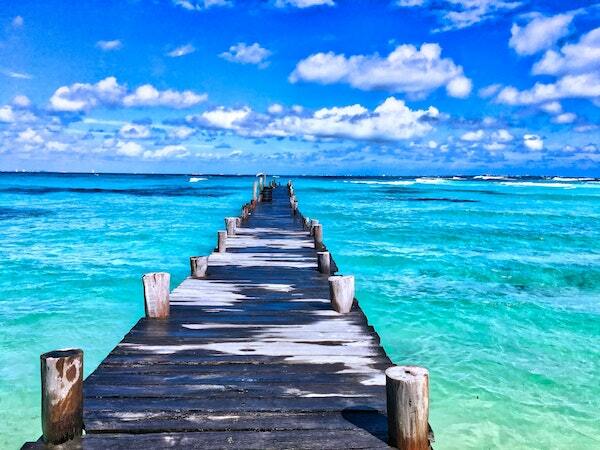 Mexico has long been a favourite destination for Canadians to “defrost” during our cold winter months. As such, you can find cheap charter flights to and from major cities all over Mexico. It’s also a large and diverse country that borders both the Pacific and Atlantic oceans, each coast boasting its own flavour and attractions. History/culture buffs will adore the Mayan and Aztec ruins and historical sites located all over the country. Inland you’ll find many beautiful cultural centres like San Miguel de Allende, Oaxaca, and of course the uber-sprawling Mexico City, which has gained popularity in recent years and is the heart of Mexico’s culinary scene combining tradition and innovation. This is important, because with the strong dollar, you can enjoy a five-star dining experience in Mexico for a fraction of the price you’d pay at home. Care to stay in a fancy hotel with an infinity pool and perhaps even private butler service? It may be more affordable than you think. Europe on the whole is one of the most expensive places in the world. But that doesn’t mean there aren’t some diamonds in the rough. In fact, in addition to the countries listed below, you may want to consider Georgia, Bulgaria, Romania, and Croatia – each for their own reasons. Greece is also still good value since their economic collapse, though it’s getting harder to find good deals there. 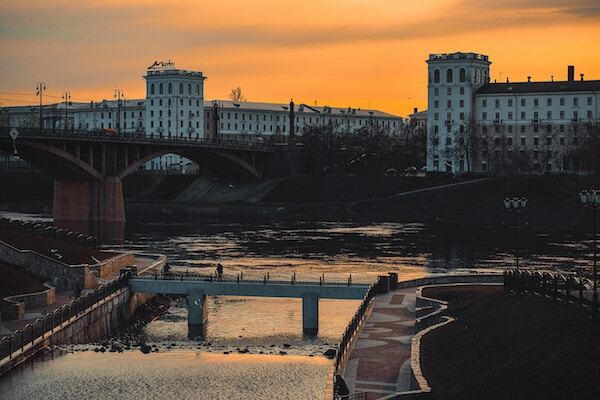 Like many former soviet states, Belarus is often overlooked on travel itineraries, which makes it a great place to visit from the perspectives of both value and getting “off the beaten path” (cliché as the idea is). You’ll want to arrive by air to Minsk however; otherwise you need to apply for a visa in advance. Belarus is considered one of the gems of Central and Eastern Europe; visiting museum towns like Mir and Nesvizh will take you back in time, and they’re both UNESCO World Heritage sites. Vitebsk is the place to be in the summertime with lots of arts festivals. Trekking fans will love the ancient forests of Belavezhskaya Puscha National Park, which is home to 212 species of birds. And because Belarus is one of the few European countries that didn’t adopt the Euro, it’s great value! If you compare the daily budget for Belarus to the Czech Republic, you may wonder why it’s even on this list! But sometimes, a place is just worth it, and this is one of those places. 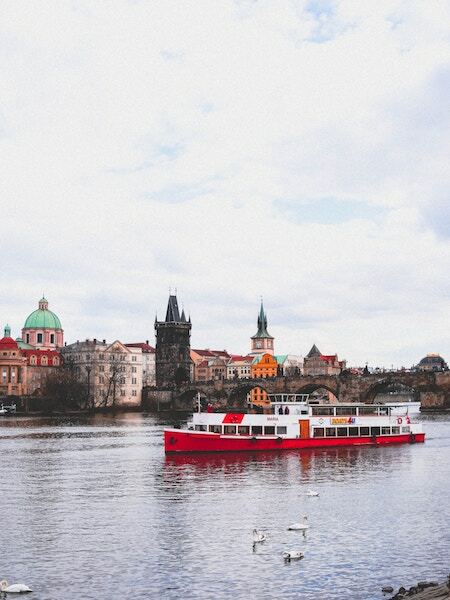 The Czech Republic is steeped in history, and is a feast for the eyes with castles, medieval towns, mountains, ancient ruins, and world-class wineries. While most people think of Prague, you’ll get better value (and a bit off the tourist trail) by visiting the UNESCO-listed Cesky Krumlov (take a boat trip down the Vltava while you’re there). And if you want to work off the hearty Czech cuisine, just hop on a bicycle and explore the “greenways” between Prague and Vienna – a 430km network of wooded trails. I don’t know one single person who doesn’t absolutely adore Hungary and attest to its budget-friendly atmosphere. It’s full of rich history and cool architecture, as well as hip cafes and incredible restaurants – all charging a fraction of what you’d pay in other European countries. 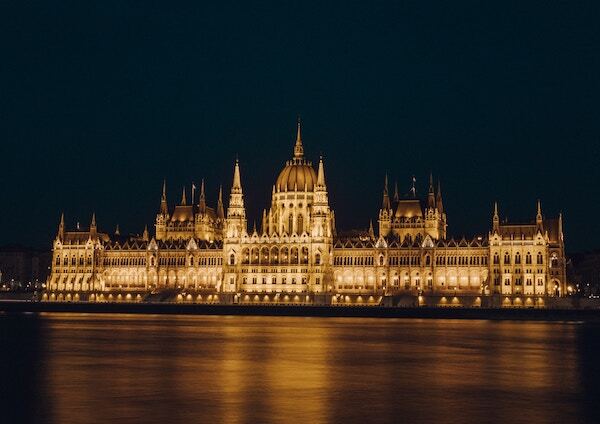 While walking the Danube/soaking in the thermal baths/experiencing the happening nightlife of Budapest is a must, you’ll get better value in places like Eger and Szeged. And be prepared to put on a few pounds; Hungarian cuisine is divine. Part of the value of Hungary – similar to other European countries listed here, is that they still have their own currency; in general if you stay away from the Euro (and the currencies of Scandinavia and Switzerland), you’ll do well. Poland is a nation of partiers; the “Old Town” in Warsaw is home to more bars per square metre than any other place in the world! But it’s not just about the drinking dens and nightlife; in Poland you can appreciate gorgeous well-preserved architecture (from Gothic to Renaissance), and some great food too. Instead of Warsaw, check out Krakow or Wroclaw. 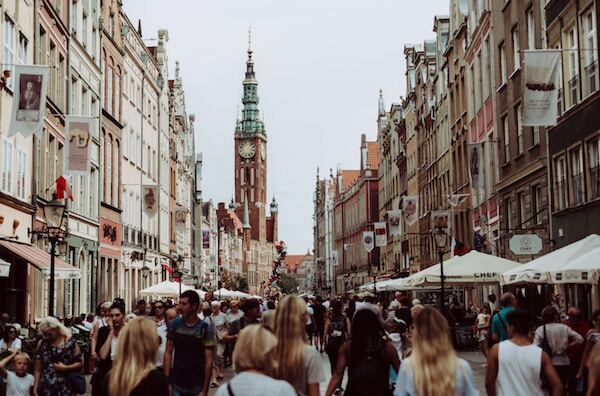 And despite the average daily cost listed above, if you are on a budget it is said that you can get by in Poland on less than $25/day – all in! Asia is a fascinating place on the whole, encompassing some of the most expensive places in the world (eg: Singapore, Hong Kong, Japan), as well as some of the least expensive. Despite language and cultural barriers, on the whole Asia is pretty easy to travel through and around (and the food is generally excellent). Here are some hand-picked Asian countries for their formidable value. Cambodia combines rustic old world charm with modern living to make it a very up-and-coming destination. 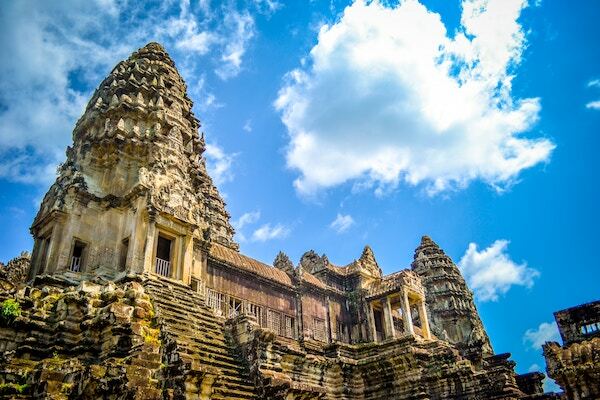 Of course the iconic Angkor Wat ruins are worth visiting (and most people say it requires at least a few days to explore); it’s incredibly complex and the world’s largest religious monument. As with many Asian destinations, time your visit with festivals (to either attend or avoid them! ), and in Cambodia the festival to watch for is the Bom Om Tuk water festival, when the current reverses in the Tonle Sap river, and it is filled with colourful boats. India is a vast country that requires a lifetime to explore, with varying cuisine, language, culture, and even architecture by region. Keep this in mind when planning a trip there; you have no hope of covering the whole country, so focus on just one or two areas and take your time. 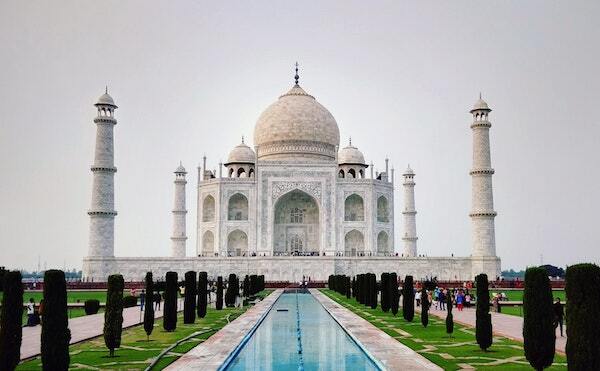 While the most typical tourist experience of India covers the Golden Triangle (encompassing Delhi, Agra, and Jaipur – including the Taj Mahal of course), you can alternately head north to the Himalayan foothills for a spiritual/yoga retreat, or south to relax on the beaches of Goa and perhaps even undergo an ayurvedic panchakarma treatment. From a budget and value perspective, your money will go incredibly far in India. You can experience unprecedented forms of luxury for comparatively small prices (I myself rode the most luxurious train in the world). Alternately, if you want to stretch your dollars, you can get a hotel for as little as $4/night. Your experience of India is entirely up to you. Most people have no idea just how big and diverse Indonesia is as a country. 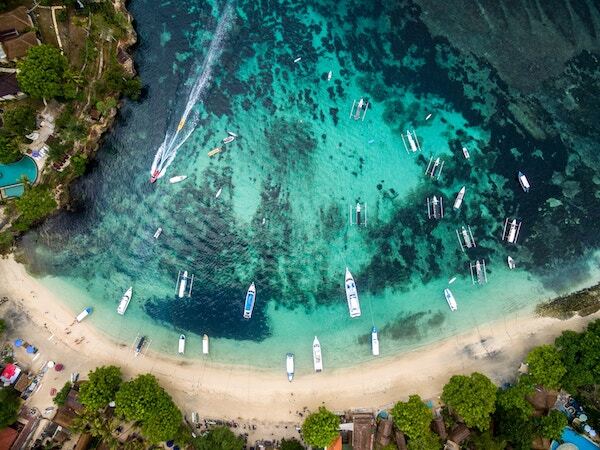 Many also don’t realize that the popular tourist destination of Bali is just one of many (as in, 17,000!) Indonesian islands, each with their own flavour (and sometimes their own language/religion/culture too). Indonesia as a whole is another one of those places where the dollar goes a long way, and a huge range of budgets (and activities) are catered to. If you want to experience luxury hospitality and amazing cuisine, you can do so in Indonesia for a song. Among other attractions, you can enjoy great beaches, surfing, and some of the best scuba diving in the world. Visit Bali to witness their unique all-encompassing Balinese Hindu practices and garb, check out the Komodo islands to see the namesake lizards chilling out, the Gili Islands for a quiet beach vacation, Sulawesi for biodiverse coral reefs, and Yogyakarta on the island of Java for it’s amazing arts and cultural heritage. And truly – this is just the tip of the Indonesian iceberg. The Philippines is another nation made up of diverse islands (in this case, over 7,000 islands). And if it’s idyllic tropical paradise you’re after, you’ll find more of it in the Philippines than anywhere else. While you’ll find white sand beaches and turquoise waters all over the place, El Nido’s beaches in particular ranked fourth in the world in a recent survey by Conde Nast. But the Philippines has more than beaches on offer. Whether it’s nature or heritage that attracts you, you’ll find them both. 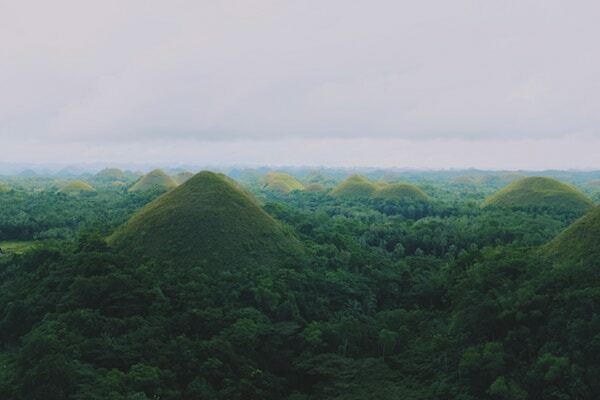 The UNESCO-rated Chocolate Hills of Bohol are a prime attraction for good reason. You’ll also find great food and renowned friendliness. Lastly, the Philippines has English as one of its two official languages, which means you’ll have an easier time getting around here than in many other Asian destinations. Thailand is a very easy place to visit, and has been a backpacker haven for decades. It’s easy not only because it’s cheap (Chiang Mai, Bangkok, and Phuket all made the 2016 Price of Travel Index’s list of cheapest Asian cities), but also because it’s incredibly friendly (Thailand is known as the “land of smiles” for a reason), and, hello? Pad thai and green curry. The food is amazing – and ridiculously cheap! City slickers will love the hectic sprawl of Bangkok including their impressive floating markets. 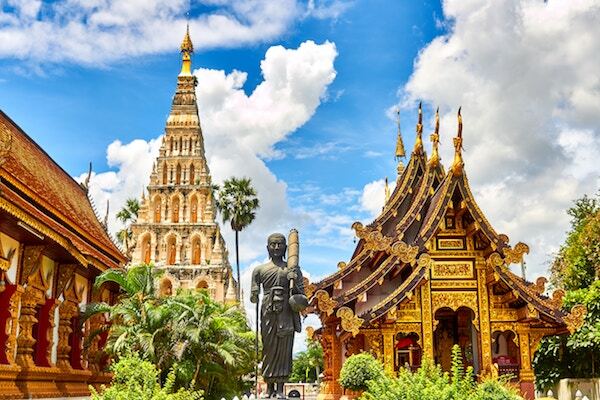 Those curious about Buddhism and interested in Thai spirituality/history/monuments will appreciate Chiang Mai (which also happens to be the digital nomad centre of the Universe). And the Thai islands to the south each have their own flavour and attractions from full-moon parties, to hippy enclaves, detox retreats, rock climbing/bouldering opportunities, and more. There are many places in Africa where the almighty dollar can go far, in the name of currency arbitrage. I’ve included two here, not because they’re the cheapest (in fact, they’re likely on the more expensive side), but because they strike a great balance between affordability, safety, accessibility, and ease of having a rewarding travel experience. Morocco is a hotbed of culture and history. Getting lost in the medinas of Fez and Marrakech is a must, and an otherworldly experience. But there’s more to Morroco than Marrakech; sun and surf-seekers head south to Agadir for the strong sun and best surf, and Essaouira is a kite-surfing paradise. 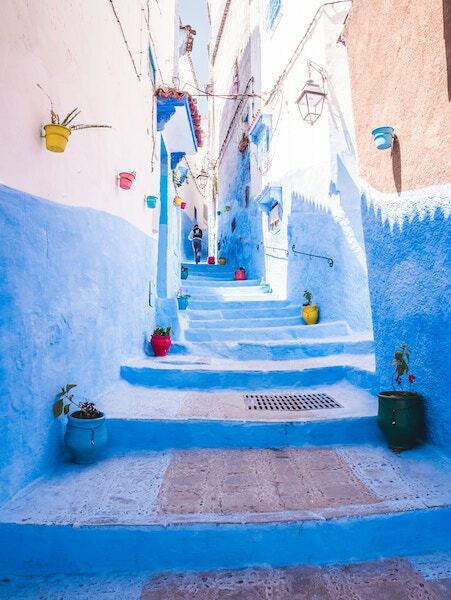 Morocco is also the gateway to the vast red dunes of the Sahara desert, and your camera will adore the picturesque blue city of Chefchaouen. Want to splurge? You’ll find luxury hospitality to be very affordable. Entry to a public hammam spa costs less than $2, and a scrub/massage treatment while you’re there costs $7-14. Your biggest budget challenge will be resisting the plethora of colourful handicrafts available, including textiles, bags, and handwoven rugs. I can personally attest to the great value that South Africa offers. I went there with a well-off friend to experience the height of luxury. Budget wasn’t a consideration and we spent a lot of money, but we also experienced a level of luxury I’d comparably never have been able to afford in Canada. South Africa is a relatively easy place to visit (as compared to many African nations where language can be a barrier and safety a more prevalent issue). There’s also good infrastructure and accessibility so you can experience the great variety this country offers. Cape Town itself will keep you busy, with Table Mountain, the Cape of Good Hope, a thriving arts and cultural scene, and even beaches. Then there’s the “garden route” taking you past world-renowned wineries. 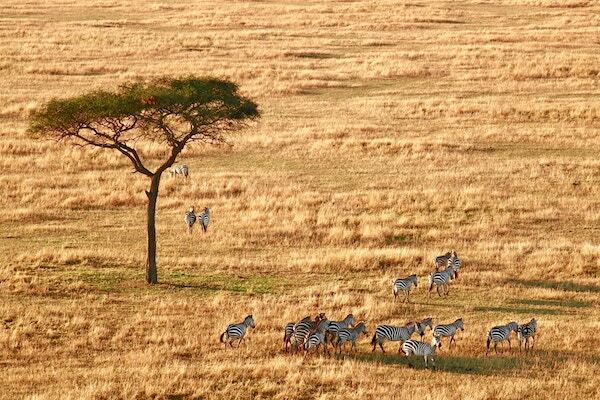 And of course a visit to South Africa isn’t complete without doing a safari – and there’s no shortage of options available to fit a wide range of budgets. Where in the world have you been that was the best value for your currency? Thank you, Robert! Wow – you’re flying through this list! They’re all great destinations. Don't subscribe All Replies to my comments Notify me of followup comments via e-mail. 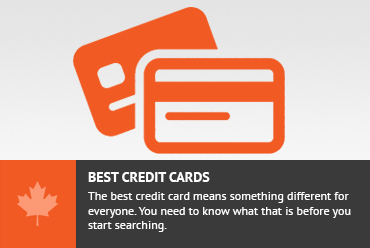 You can also <a href='https://www.creditwalk.ca/comment-subscriptions/?srp=5618&srk=2648578ecea05c83754707575dc5a494&sra=s&srsrc=f'>subscribe</a> without commenting.